Zenith Bank Plc has continued to show why it is one of the financial institutions to beat in Africa with its strong Q1 2018 earnings released on Thursday. The lender, which was among the three debutants on the Nigerian Stock Exchange (NSE) Premium Board in 2015, grew its gross earnings in the first three months of this year to N169.2 billion from N147.7 billion in the same period of last year. The net interest income also increased to N95.9 billion in Q1 2018 from N70.6 billion in Q1 2017. The financial statements further revealed that during the period under review, fee and commission income stood at N20.8 billion against N21.1 billion in March 2017, while the trading income was N1.7 billion compared with N7 billion in Q1 2017. Operating expenses were at negative N43.9 billion as at March 31, 2018 in contrast to negative N27 billion as at March 31, 2017. And for the profit before tax, it stood at N54 billion in Q1 2018 against N44.2 billion in Q1 2017, while the profit after tax was N47.1 billion this period compared with N37.5 billion in the corresponding period of last year. Business Post reports that the bank’s earnings per share (EPS) stood at N1.50k in Q1 2018 versus N1.19k in Q1 2017. 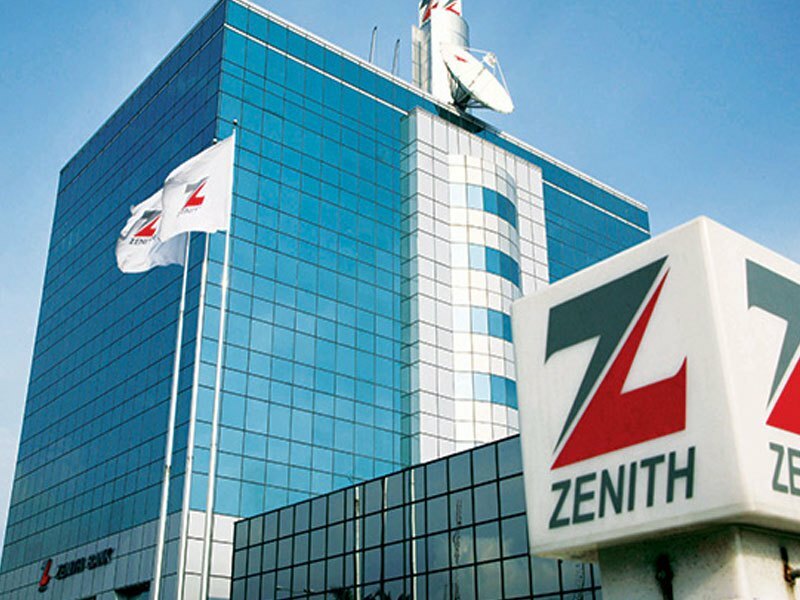 Zenith Bank’s total assets last quarter stood at N5.7 trillion against N4.7 trillion in the corresponding quarter of last year and N5.6 trillion in FY 2017, while the total liabilities were N4.9 trillion in Q1 2018 compared with N4.1 trillion in Q1 2017 and N4.8 trillion in FY 2017.